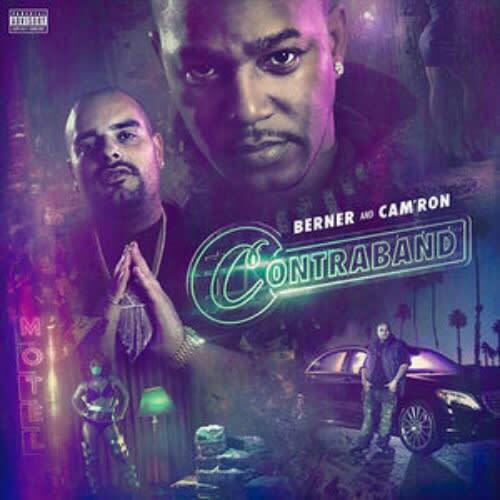 After announcing the project less than two weeks ago, Cam&apos;ron and Berner released their collaborative EP Contraband today. The Dipset front man and the Taylor Gang affiliate recruited a number of guests including Wiz Khalifa, 2 Chainz, and Twista. Although it&apos;s only six tracks, the duo&apos;s combined forces packs an unexpected punch. With a mixture of laid back and hard-hitting songs, it&apos;s got a little something for everyone. The EP serves as Cam&apos;s first project since 2013&apos;s Ghetto Heaven Vol. 1 mixtape, and Berner&apos;s first since January&apos;s 20 Lights EP. You can download the project in its entirety on iTunes now, or stream it via YouTube below.